Gold Coast Health Plan (GCHP) has Disease Management Programs for Asthma, Diabetes and Pre-Diabetes. The goal is to improve the health of our members. Members with asthma, diabetes or who are at risk for getting diabetes are encouraged to join. Educational materials in English or Spanish. Coaching by a nurse, if eligible, to make lifestyle changes. Classes in English or Spanish, when available, near home or work. The program works with primary care providers, specialists and members to improve health outcomes. It can also help reduce or delay long-term complications by supporting member efforts to live a healthier lifestyle. GCHP aims to improve the health of its members and their families by partnering with its network of providers to deliver evidence-based care. Educational materials and links to resources in either English or Spanish. Access to work with a Nurse Health Coach on mutually agreed-upon goals. Classes taught in English or Spanish near the member’s home or work, when available. Sample asthma action plans in English and Spanish from the National Heart, Lung, and Blood Institute (NHLBI). Be your best healthy self. If you or someone in your family has asthma, diabetes or is at risk for developing diabetes, GCHP’s Disease Management Programs are here to help you. Get the care you need. Understand the care your doctor recommends. 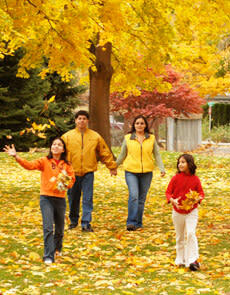 Manage health issues for you and your family. Learn about other things you can do to stay healthy. Free learning materials in English and Spanish. Access to free English or Spanish classes in the communities near you, when available. Help you get any care that you are missing. Remind you to get the preventive care you and your family need. Make sure you are taking the right medications. Tell your doctor how you are doing. Classes in English and Spanish near your work or home, when available. A nurse coach to design a plan of action to keep you and your family healthy. Call 1-805-437-5588/TTY 1-888-310-7347 and get started today! You can stop the program at any time.